Home paranormal beliefs Paranormal Creature -- "Mothman"
The small city of Point Pleasant in West Virginia was, for 13 months starting in November 1966, the centre of sightings of a "winged humanoid figure" described as, in most accounts, as being 7-8 feet tall, weighing 250 pounds and having a wing-span of 10-15 feet. Described as being half-man and half-beast, it is said to have red, glowing eyes and emitted blood curling shrieks. The legend started when two young couples reported seeing a "moth-like" creature with glowing red eyes and claimed the creature followed them home along a road into town. Soon hundreds of people reported seeing similar creatures, as well as UFOs. Some people started having dreams about an impending disaster on the river, and in his book, Keel claims many people who witnessed Mothman were visited by the notorious Men In Black, supposed agents working for the government to suppress information concerning UFOs and extra- terrestrials. For months after the first reported account, townsfolk were terrified and perplexed at accounts of this creature flying over cars, and started attributing the disappearances of pets to the creature. Also people started to exhibit strange burns on their bodies and swelling of the eyes. UFO activity was still also being reported, with cigar- shaped and egg-like craft being observed emitting multi-coloured lights that responded to flash lights and car lights being turned on and off. On the 15th December, 1967, the Silver Bridge,which once connected Point Pleasant to a small town over the Ohio River, collapsed, killing nearly 50 people. The cause of the collapse was attributed to the large congestion of rush-hour traffic causing an eyebar in one of the suspension chains to fail. It was,at the time, the worst bridge accident in U.S. History. Strangely, all sightings of "Mothman", UFOs and MIBs ceased, causing many to this day to believe that the accident was caused by the creature. Many, however, have come to believe that the creature was perhaps a omen, warning people of the disaster. The fact is that the Silver Bridge was poorly maintained and over 40 years old at the time of the accident, and a disaster was imminent without supposed supernatural assistance. It didn't stop people, after their grieving period, of making claims of seeing the creature near the bridge just before its collapse. Since then, many people all over the world have sighted or described encounters with similar beings, strangely all around the time of major disasters. Sightings of "bird-men" were reported before the Chernobyl disaster, before earthquakes in Japan, Mexico and New Guinea, and even before the events of 9-11. For years many paranormal researchers and cryptozoologists have speculated that Mothman might be some kind of creature borne from radioactive experiments, a hybrid man with freakish abilities and appearance. Some claim he was an alien entity either sending us a warning of doom or causing the destruction. A popular theory is that the original Point Pleasant sightings were of perhaps a freakishly large type of bird, and many sceptics will agree with that explanation, as many types of cranes and owls in the country have eyes that could appear to be glowing red in reflection. Some have contended that it was a mass hallucination, bought on perhaps by true sightings of UFOs and local wildlife. Many eyewitnesses maintain that they did not witness a bird, but a man that was bird-like in appearance. 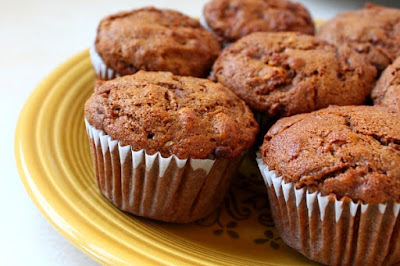 The experiences are said to have had a lasting effect on eye-witnesses, who claim for years after that they would not travel at night and suffered horrible nightmares. Many of the sightings at Point Pleasant are said to have occurred near an abandoned TNT warehouse once used in WWII. Many believe the creature either resides there or once did. 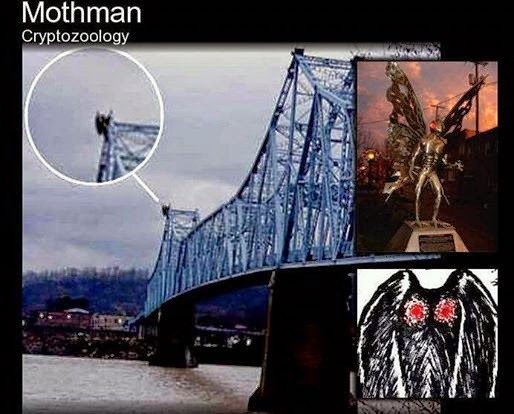 Mothman has became a local celebrity in the city, with many UFO enthusiasts, paranormal researchers/investigators and true mystery buffs flocking every year to West Virginia. There is a Mothman Museum, and a yearly festival takes place where tours are conducted, films are shown and extravagant Balls are held to honour their "tourist attraction."